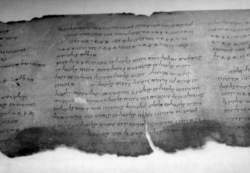 The textual essays often fail to recognize the complexity of the Dead Sea Scrolls and the fact that many documents exist in multiple recensions. The foregoing survey traces, I hope, the decisive transformation that has taken place in the study of the community that owned the Dead Sea Scrolls from that of a small, reclusive group at the fringes of Second Temple Judaism, to that of a major and central community that was heir to an ancient religious tradition. The last article I wish to highlight is Steve Delamarter's "Sociological Models for Understanding the Scribal Practices in the Biblical Dead Sea Scrolls. Now, anyone around the world can view, read, and interact with five digitized Dead Sea Scrolls. Unearthed between 1947 and 1956 in 11 caves near the ancient settlement of Qumran in Israel, the Dead Sea Scrolls include the oldest version of biblical manuscripts ever discovered. She is a member of the Dead Sea Scrolls editorial board and associate editor of the New Interpreter's Dictionary of the Bible, and Dead Sea Scrolls Encyclopedia. The Dead Sea Scrolls were first discovered in 1947 by Bedouin goat herders. 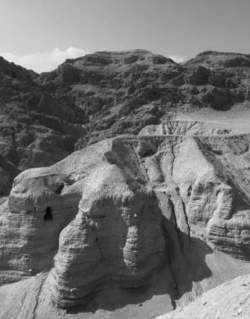 The Dead Sea Scrolls, written mostly on parchment and partly on papyrus, were discovered in 11 caves on the northwestern shore of the Dead Sea where they had moldered undisturbed for roughly 20 centuries until a young Bedouin shepherd discovered them in 1947. Because it is one of the best preserved of the Dead Sea Scrolls, its often-reproduced image has become a synecdoche for the group. But the most ambitious goal is to open up hidden passages from the Dead Sea Scrolls and the Torah, the most revered Jewish document which is said to record the word of God as revealed to Moses. The Dead Sea Scrolls are a collection of more than 800 religious texts, containing nearly all of the Old Testament. Based on the discovery of the Dead Sea Scrolls, writings of the 2nd-century Gnostics, this novel offers suspense and intrigue as the alternate gospels, including the Gospel of Thomas, the Gospel of Mary Magdalene, and Thunder, pass from hand to hand--often at great price.